On the docket are also highly-requested quality of life changes, item changes that should boost some fan-favorite playstyles, and an all-new Season 17 buff that'll help us bring the terror to the Season of Nightmares! Please note that this is a preview for PTR content, which is subject to change. We'll be conducting the Patch 2.6.5 PTR over the course of approximately one week, starting Friday, April 5. During the course of the PTR, there may be periodic maintenances, outages, hotfixes, or minor patches. For example, if you’re primarily a Wizard player, consider what changes impact the Wizard specifically. What you like best, what you think may still need adjustment, and what you'd want to see in the future (even if that may be beyond the scope of this patch) are all good questions to ask yourself. Try to break things! Just tell us when you do so we can make sure that the 2.6.5 launch is as smooth as possible. When providing feedback, focus less on a solution and more on your experience. How did the changes make you feel? Was there something "off" that you noticed? Did something seem wrong or insufficient? Suggestions are always welcome but identifying the issues themselves is most important. Last updated April 22 @ 1:05 p.m. PST. 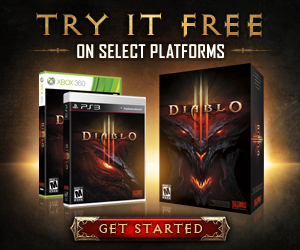 Note: All changes apply to all versions of Diablo III, including PS4, Xbox One, Switch, and PC unless otherwise indicated. Developer’s Comment: The Season of Grandeur was by far our most popular Themed Season yet. In the wake of having a free Ring of Royal Grandeur active, we saw a lot of requests to try the same thing with the Legacy of Nightmares set power. We had been toying with the same idea internally, and the community request really nudged us over the edge of giving it a go! Your Poison Darts and your Fetishes’ Poison Darts now pierce and deal an additional [400-500%] damage. Rapid Fire deals 60-75% 75-100% increased damage for every half second that you channel. Stacks up to 4 30 times. Developer’s Comment: With Patch 2.6.4, we focused on making a lot of changes to different class sets to open up build diversity and level out the comparable power between classes. With 2.6.5, we’re continuing that trend through adjustments to (mostly) Legendary powers we feel have a very strong, fun fantasy, but needed some damage bumps.